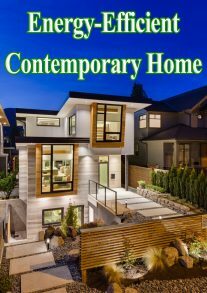 Most teenagers get to do their brooding from their bedrooms and their hanging out with friends somewhere away from home. But a South African teen is getting a much different experience. 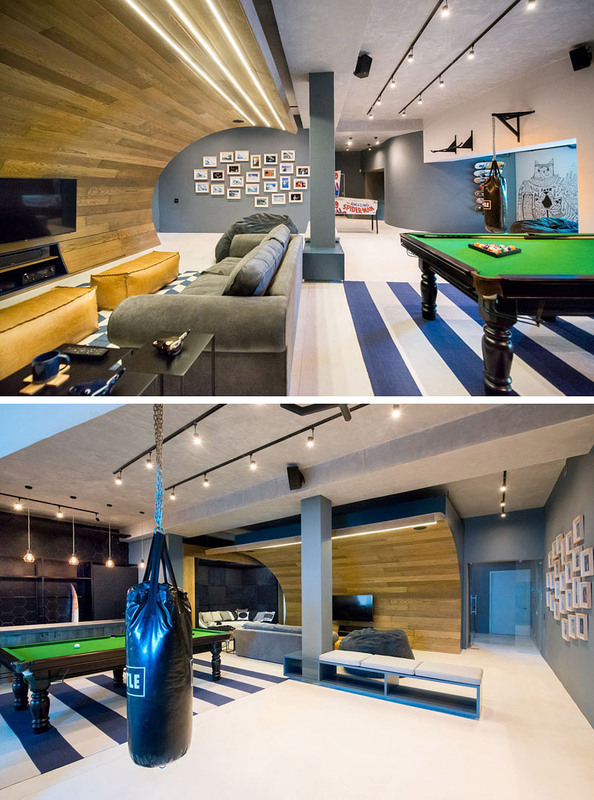 Designed by Inhouse Architects, an urban man cave sits in the basement of this home that’s full of all sorts of elements to provide endless hours of entertainment for a teenager and his friends. 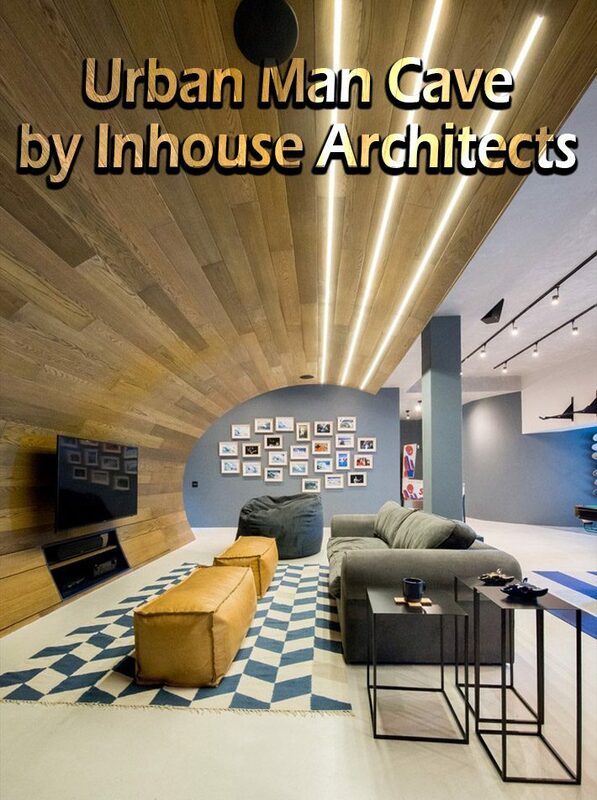 The most prominent design feature in this modern man cave is the timber wave. 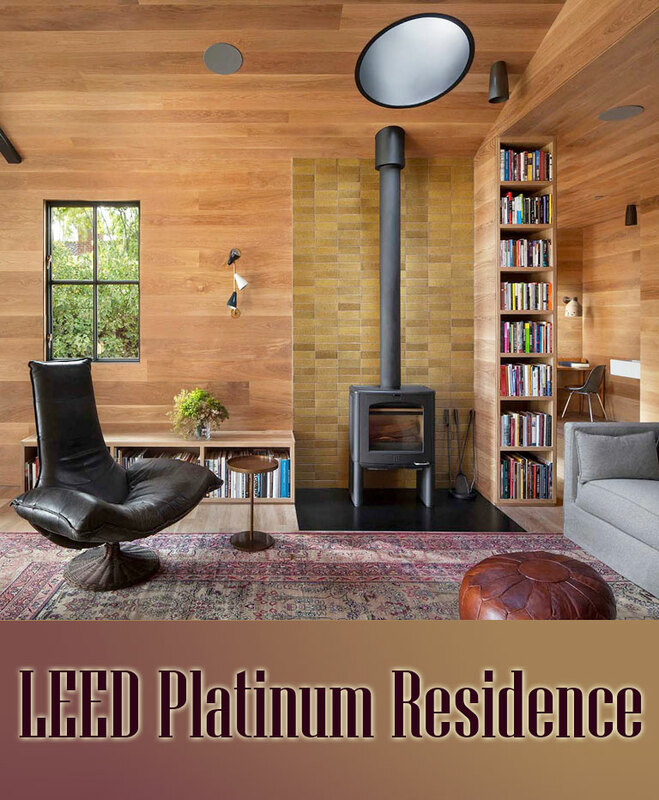 Made from steel fins covered in strips of wood, this large structure makes up the entertainment system. 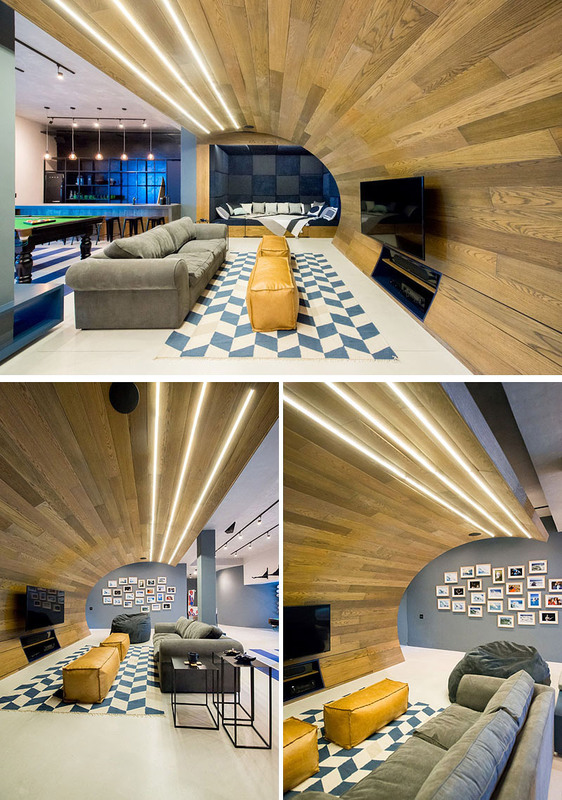 The wave is lit up from above with LED strips and outfitted with surround sound to complete the entertainment experience. 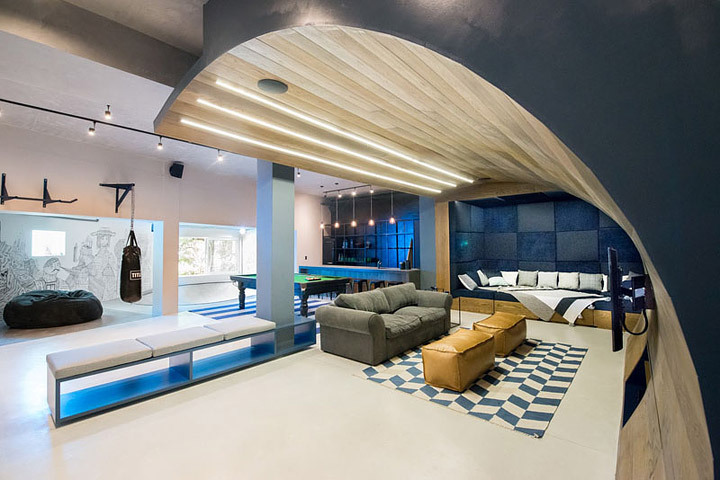 A few man cave essentials, like a work out area complete with a punching bag and pull up bar, a “chill spot” and some old school entertainment equipment, including a pool table and vintage pinball machine, were also included in the design of this teen oasis. 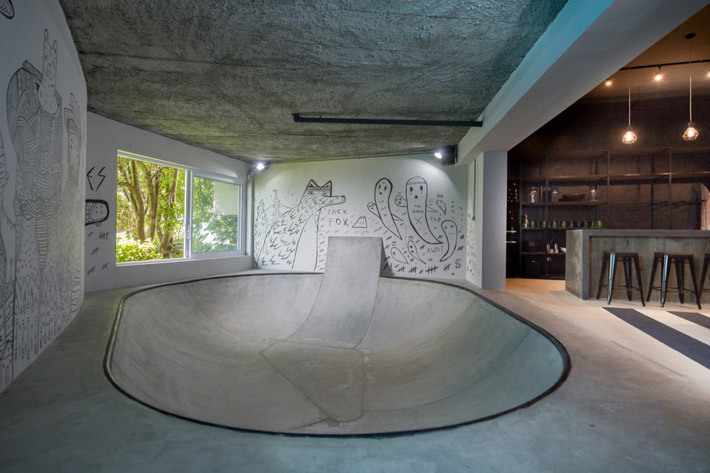 Surrounded by illustrations done by South African artist Jack Fox, this urban man cave also features a built in skate bowl. The bowl sits next to a fully stocked bar packed with all the snacks and drinks teenage boys could need. The wall art was kept to a minimum with a photo wall, the Jack Fox illustrations, and a skateboard rack displaying colorful undersides of boards, being the only things on the walls of this space.